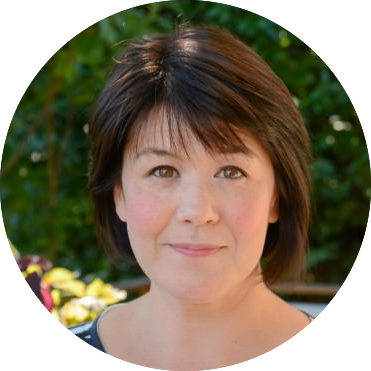 One of my very favorite blogs is Sara Forte’s Sprouted Kitchen. She lives in Dana Point just a few minutes away from where I grew up and every time I look at her beautiful recipes I feel a little homesick. 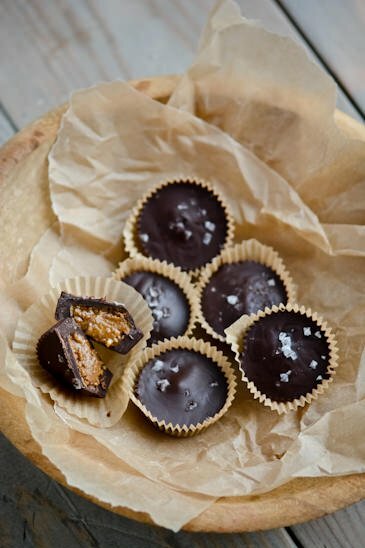 Her recipes are healthy, unique and when I saw her recipe for dark chocolate almond butter cups I knew I needed to try them for myself. 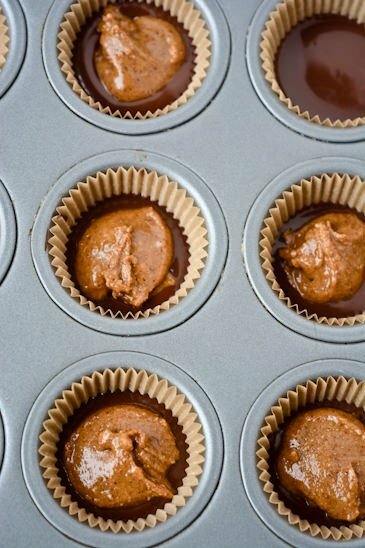 I made my own hazelnut butter to use in the cups and I found that the mixture didn’t thicken as much as it was supposed to but I didn’t want to add more sugar or honey I didn’t want the sweetness to overpower the candies so I just spooned the mixture into the middle and they came out fine. 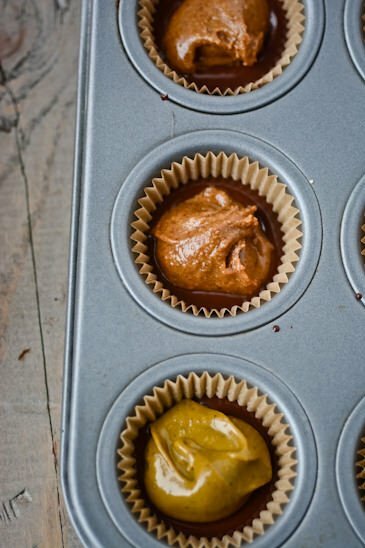 I made a few different batches one with hazelnut butter and one with pistachio butter and I’m not sure which one I liked better. I do have to admit that the pistachio butter doesn’t have the most appealing color so if you are planning on gifting them you might want to stick to almond or hazelnut butter. 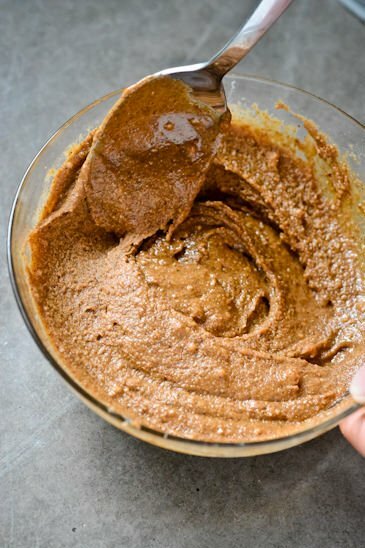 Feel free to skip making your own nut butter and use store bought almond or peanut butter just make sure to use an unsweetened variety. These little cups would make the perfect gift to that special someone on Valentine’s day which is just around the corner. 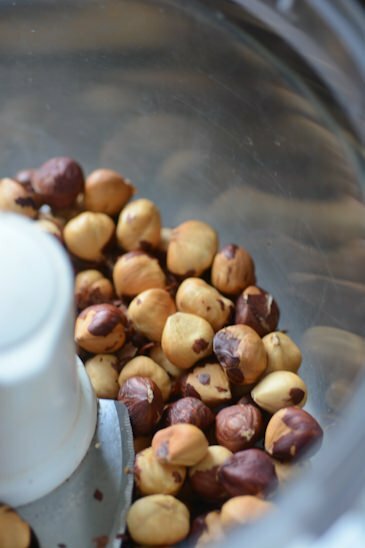 Place the nuts on a rimmed baking sheet and cook for 15-20 minutes until the skins begin to darken and blister. Let cool slightly and then place them in a clean kitchen towel. Using your hands rub the skins off the nuts as much as possible but don’t worry if they don’t all come off. 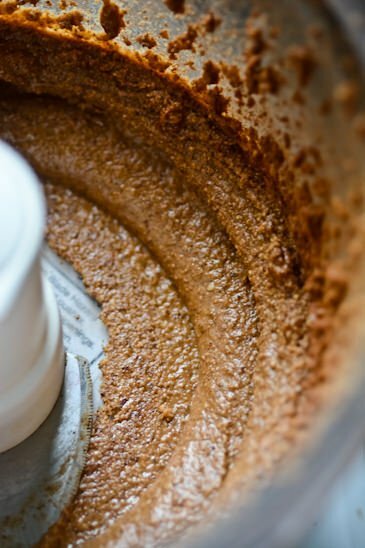 Place the nuts, salt and cinnamon in the bowl of a food processor and process, scraping the bowl occasionally until the nuts first turn to a powder and then to butter. Pour the butter into a small bowl and add the honey and powdered sugar. The mixture should seize up a bit and thicken. 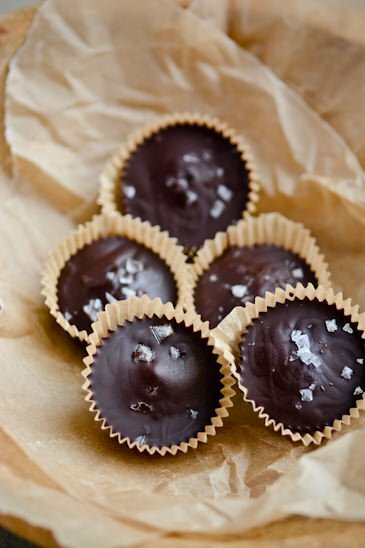 Set aside while you prepare the chocolate. Heat a cup of water in a small saucepan and place a bowl big enough to cover the pan on the top. 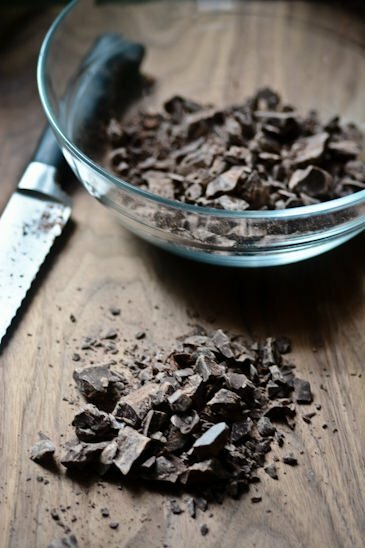 Roughly chop the chocolate, place in the bowl and melt, stirring occasionally until smooth. 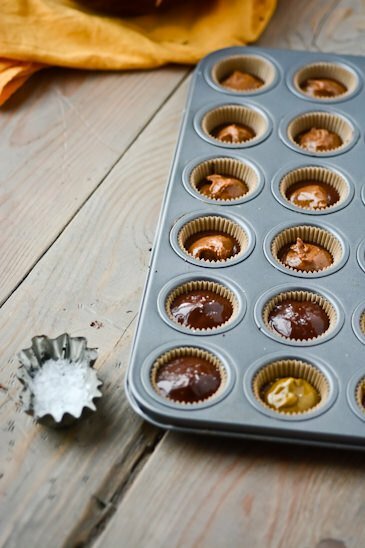 Line a mini muffin tin with paper liners and spoon about a teaspoon of the chocolate in the bottom swirling the liner around to make sure the bottom is completely covered. Spoon about a teaspoon of the hazelnut butter mixture over the chocolate. 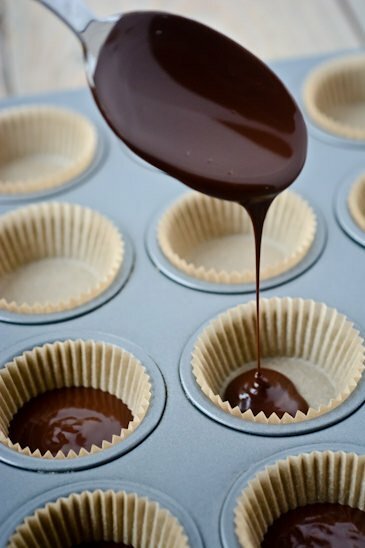 Drizzle more chocolate on top of the hazelnut butter until it is completely covered. 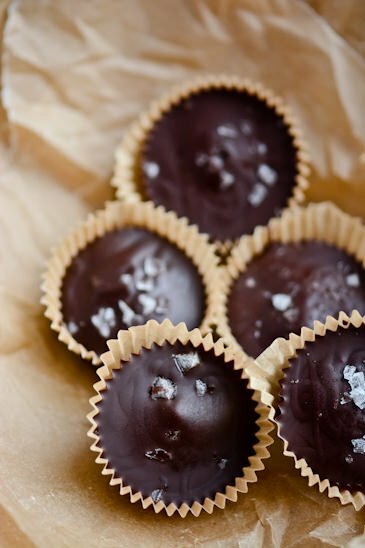 Sprinkle a few flakes of sea salt over the top and chill in the fridge to set. Wonderful recipe! I love homemade chocolate treats. Pinned this, can’t wait to try it! I have been having a hard time limiting myself to one or two a day but I figure it’s a lot better than breaking down and buying a candy bar!